Living Smart Homes are brimming with ingenious touches and a wealth of energy-saving, water-conserving, health-promoting and earth-friendly features, that can save you money and contribute to your long-term peace of mind. This desirable floorplan features 4 bedrooms, one bedroom downstairs, large kitchen with granite counters and big island, 3 full bathrooms, large loft that can be a second living room, dual sinks in master bathroom, dual sinks in upstairs secondary bathroom, over-sized upstairs laundry room, large secondary bedrooms, super energy efficient from the roof to the windows. The master bedroom has gorgeous views & a nice walk-in closet. The private backyard backs to open space and is perfect for entertaining. 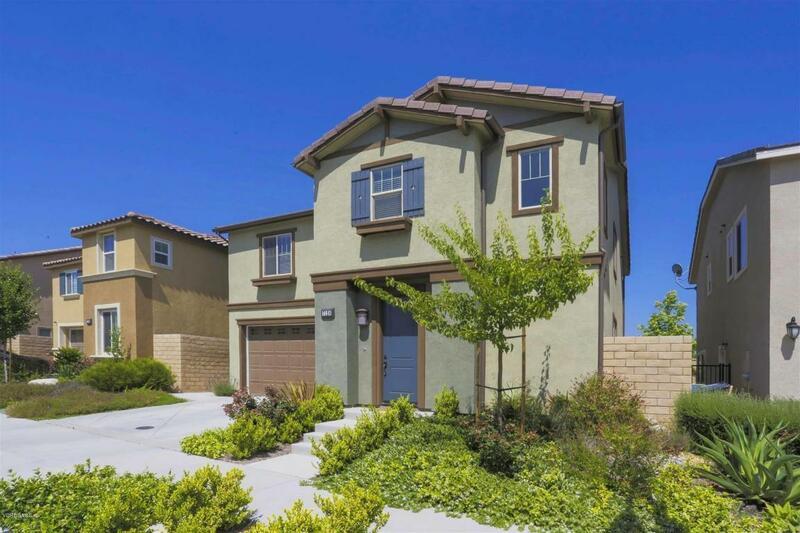 Living Smart in Moorpark Highlands is the perfect place to raise a family, large community park, endless hiking trails and resort like community pool area.